Showcasing house-made goods and local farm foods. The Market at Elm Street Bakery is where we feature our house-made goods, while also capturing our region’s flavor with locally-sourced farm products. 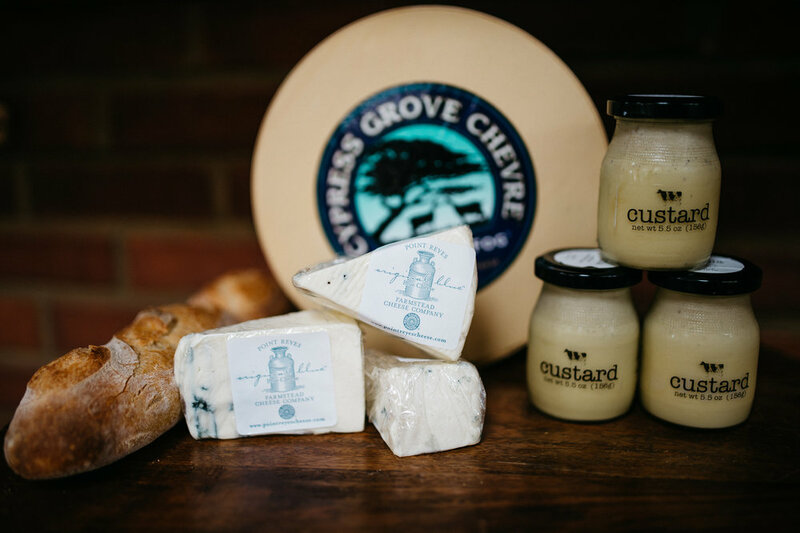 Whether you are looking to find rare artisanal cheeses to pair with your freshly baked Elm Street Bakery bread, or need a quick meal on the run, our Market is ready to serve you. The Market at Elm Street Bakery. We specialize in grab-&-go meals including soups, salads, sandwiches, dips & spreads, and local yogurts & parfaits. We also carry a wide range of fermented foods including pickles, sauerkraut, kimchi and kombucha. For your sweet tooth we offer desserts and cakes to grab for that last minute special occasion.. Seasonal preserves and jams are available. Our Market showcases an incredible array of artisanal cheeses that are designed to pair perfectly with our freshly baked breads. We take time to find unique local cheeses as well as the finest from around the world. The Market features teas, granolas, and other non-perishable items. Local maple syrups available for purchase. The market is always open during regular business hours (even first thing in the morning or during dinner hours)!